There was no planned update to the main channel. But main channel regions were restarted, at least mine was. It is running version Second Life Server 18.12.05.522294 the same as it has for the last 3 weeks. Blue Steel is to update to version #19.01.03.522821. This version has additional logging for capturing various region performance criteria. I’ve been noticing a change in performance and region crossing behavior… degrading… I try to do some flying after the Tuesday restarts. Now it isn’t making much difference whether there has been a restart or not. Still lots of problems. Le Tigre and Magnum will get an update to version #18.12.05.522294. This version has changes to the voice service. Recent DDoS attacks on DNS servers have been causing problems for voice users. So, there may be some improvements to get around messed up DNS. Posted in Second Life, Server, SLV2, 3, 4, 5, & 6 Series, Viewers. Happy New Year! I wish you all the best for the coming year and may all your region crossings always work perfectly. Tuesday is the normal update day for main channels servers. It is a US Holiday… pretty much a holiday in all of Western Culture. So, there are no updates, probably this week. Nor are there the usual user group meetings. So, there is little to report this week. So, this article is mostly a place marker in my line of update notes. The last Deploy post is dated 12/17/2018. The main channel is running Second Life Server 18.12.05.522294. 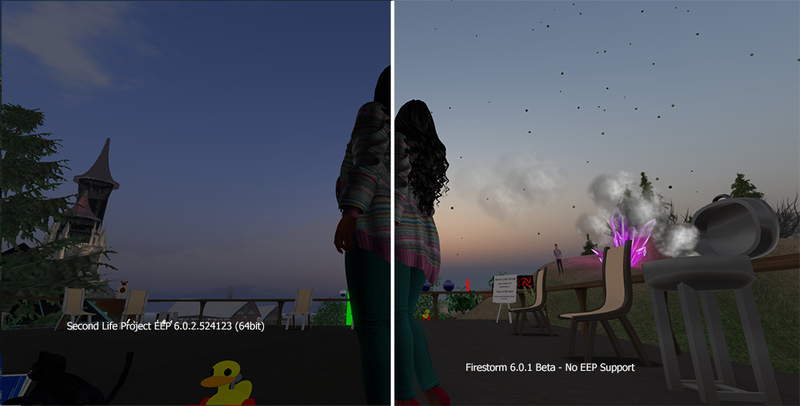 Second Life RC BlueSteel 18.12.05.522294 is currently running. Second Life RC LeTigre 18.12.05.522294 is currently running. Second Life RC Magnum 18.12.05.522294 is currently running. Main/default Linden Viewer 6.0.1.522263 – Last updated 2018 week #50.